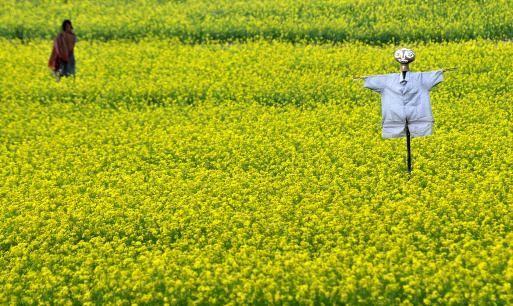 The decision whether to allow the commercialisation of the first genetically modified (GM) food crop (mustard) in India rumbles on. As I have previously discussed here, the bottom line is government collusion over GM crop technology (that is not wanted and not needed) with transnational agribusiness, which is trying to hide in the background. In an affidavit response to Aruna Rodrigues’ writ, however, the Union of India revealed something that merited a press release from the civil organisation Navdanya and Aruna Rodrigues (presented in full below this article). According to the press statement, that claim was also made by the developers (Dr Pental and his team at Delhi University) and is clearly recorded by the media. It also notes that the claim of superior yield was implied in the Supreme Court (SC) during a ‘hearing’ (24 October) on India’s import bill for edible oil. They conclude that this HT Mustard DMH 11 is not needed – which is in fact the first step of a risk assessment protocol for GM crops! The court should not bow to corporate pressure in allowing GM mustard seeds keeping in view of the farmers plight with bt cotton crop. The green revolution has inflicted tremendous damage . Danny Hakim of International New York Times, Oct 31, 2016, reports that genetically modified crops in US and Canada have gained no discernible advantage in yields, while herbicide use has increased.